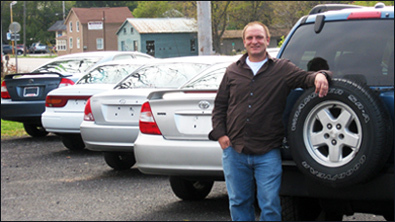 Calianese Auto Sales' 20+ years experience in retail automobile sales can be summed up in two words, CUSTOMER SATISFACTION. We are not happy unless our customers are happy, during and after the sale. We look forward to serving our past customers and meeting many new ones. If you are looking for quality and affordability and want to purchase your next pre-owned vehicle in a hassle free environment then give us a try. We will exceed your expectations!